The new Dueling Tree Target Stand by Birchwood Casey is available in both .22 rimfire and airgun versions. Birchwood Casey® has introduced two great new Dueling Tree Targets for fast-paced shooting action that you can see and hear. 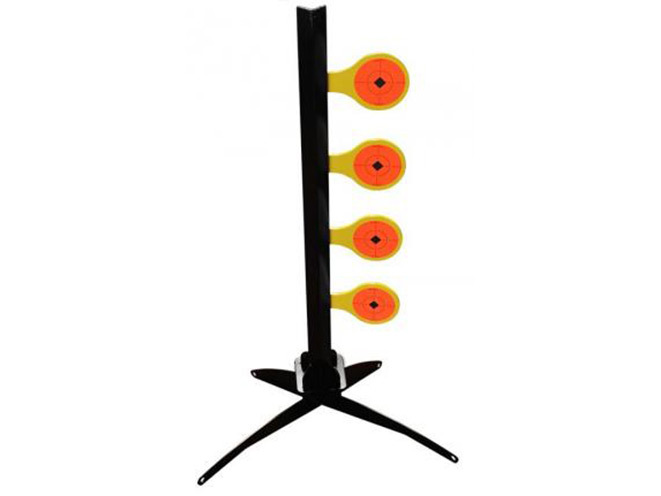 The new Dueling Tree Target Stand is available in both .22 rimfire and airgun versions. The Dueling Tree has four steel plates that dodge from side to side when hit, providing constant shooting action. 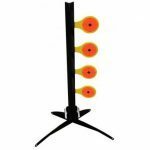 The heavy steel construction ensures the targets will stand up well to long-term range use. 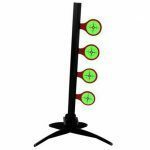 Dueling Tree Target Stands consist of a canted stand with four stable legs that makes shooting safe. There are no springs or mechanisms required for the target to reset, making them almost maintenance free. The stands are easy to assemble and set up without tools. Each paddle includes either orange or green replaceable Target Spots™ for increased visibility. Both targets come with a hard molded case for ease of transportation. 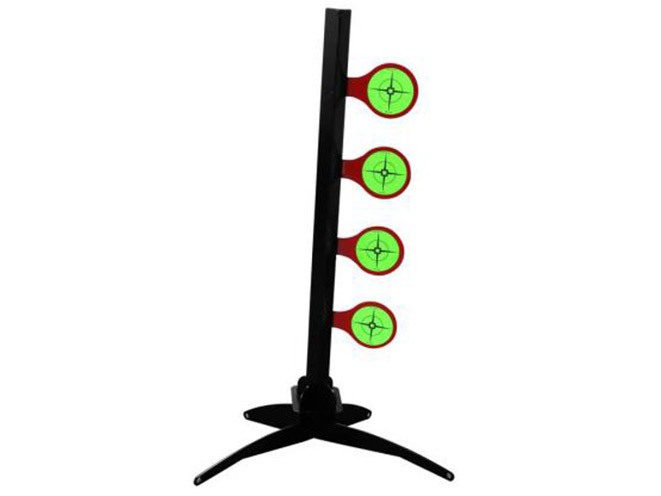 The Dueling Tree .22 rimfire Target Stand sells for $186.70 and the airgun version for $168.00. Both targets are proudly made in the USA. 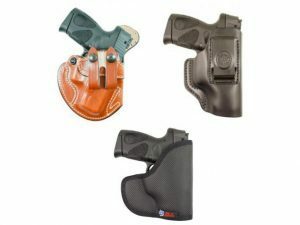 DeSantis Gunhide has introduced a dozen holster fits for the Taurus PT111/PT140 Millennium G2.